Canadian developer and publisher Digital Extremes has announced its hit cooperative online action game Warframe will be available for digital download on Nintendo Switch on Tuesday, November 20th. Having amassed 38 million registered users over its five-year growth cycle on multiple systems, Digital Extremes’ free-to-play game offers Nintendo Switch players an unparalleled blend of fast, fluid combat, deep RPG and customization systems, and a constantly evolving stream of updates, all couched in an imaginative science fiction setting. 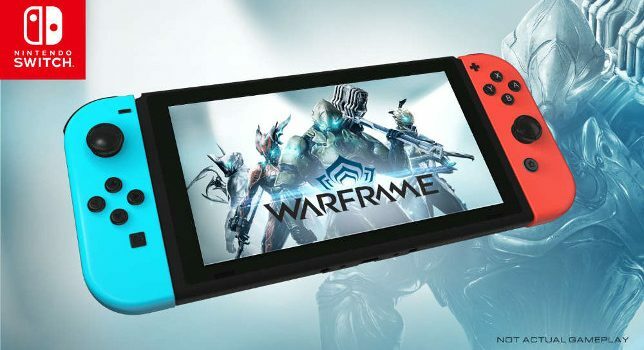 In collaboration with developer Panic Button (Doom, Wolfenstein: The New Colossus, Rocket League), Warframe’s cooperative 1-4 player gameplay will give Nintendo Switch players a totally new opportunity to play with friends online in the role of a space ninja to explore the Origin System for FREE. In Warframe you will master the Warframe armor as the enigmatic Tenno, a race of ancient warriors wielding blade and gun, who are awakened from centuries of cryo-sleep by a mysterious guide, the Lotus, to restore order throughout the Solar System. Tenno will experiment with Warframe’s blisteringly fast Parkour movement system, giving them the ability to Wall-Dash up walls, Bullet Jump across vast terrain and Dive-Kick into a teeming crowd of Grineer, among other moves. Eager Tenno will lose countless hours acquiring a variety of Warframes (36 and counting) to best suit their play style, as well as new weapons and gear, crafting specialized weapons and customizing their Warframe, weapons, ships and looks to make the ultimate Fashion Frame statement.